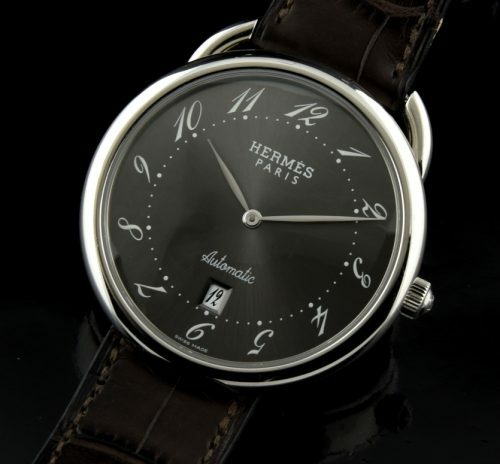 This HERMES ARCEAU large size 41mm. watch is essentially unworn and stored in a box since 2008. This MOST desirable watch, having a sprawling 41.5mm. steel gleaming case is a work of art. The smoke dial having exaggerated numerals is the MOST sought after coloured dial in this watch’s series. The supple crocodile band made for HERMES are amongst the BEST leather bands produced and are world renowned for their quality. The steel fold-over buckle is signed. I love the graceful arced lugs which evokes a feel of movement against the flowing dial. The fine automatic SWISS movement is accurate. Box and papers complete. 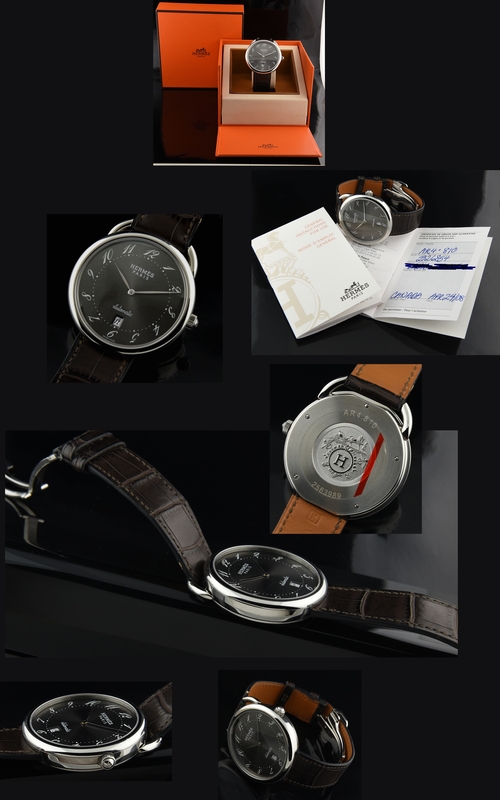 You are really going to love this very hard to find HERMES.